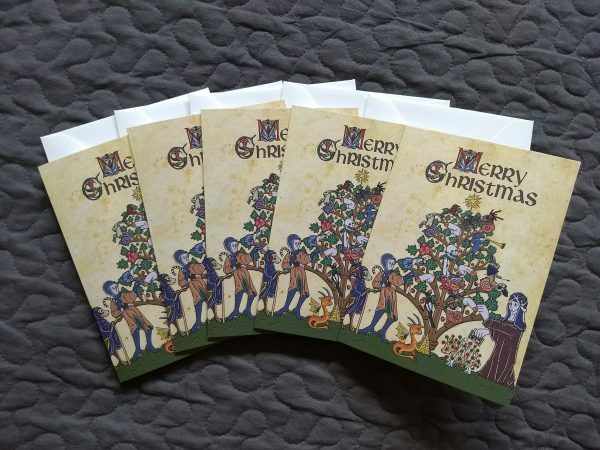 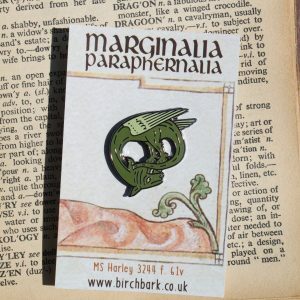 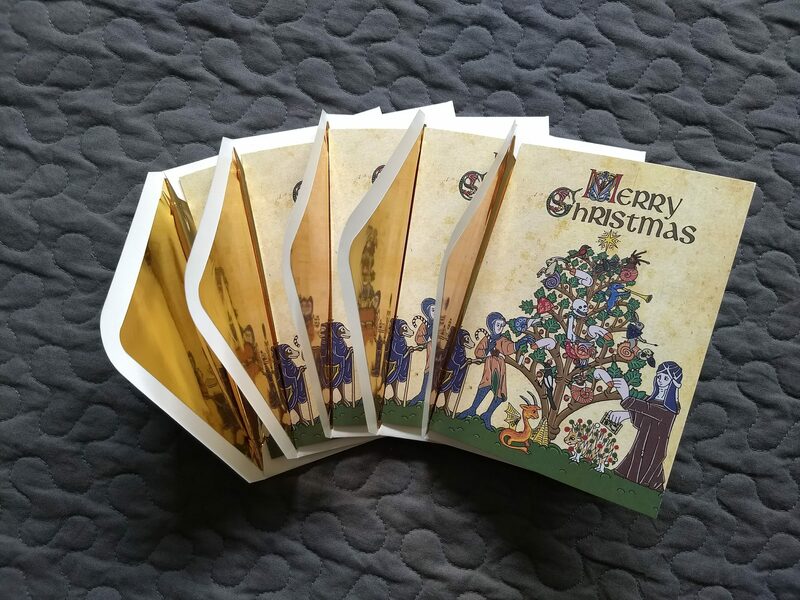 Five A6 cards with a marginalia inspired Christmas design. 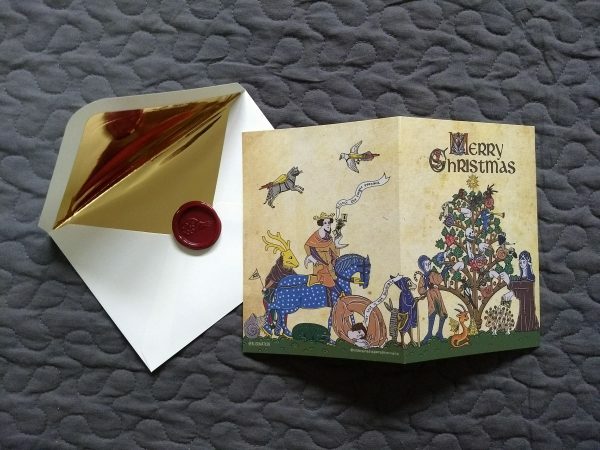 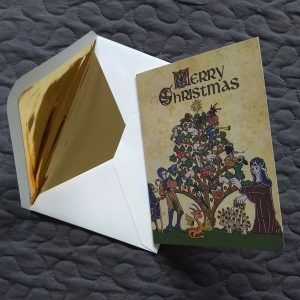 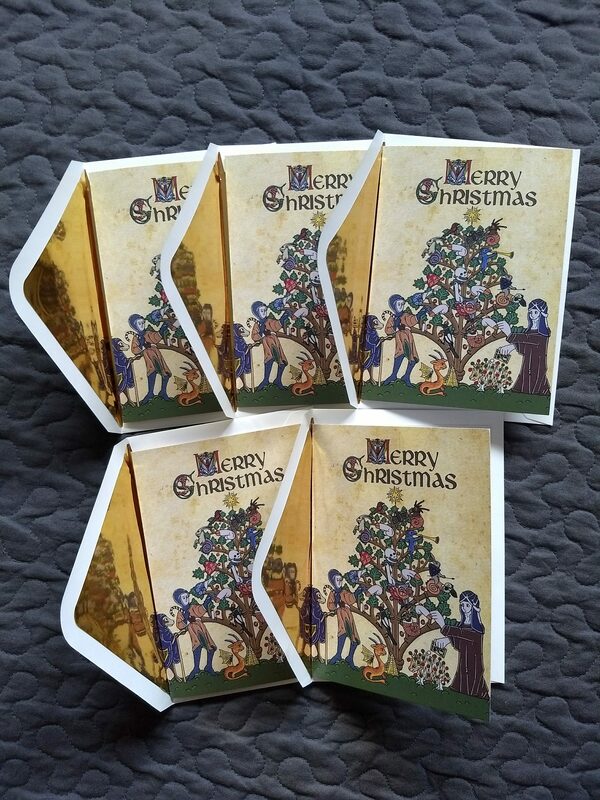 Five A6 cards with a marginalia inspired Christmas design, printed both outside and inside with a deluxe marble finish. 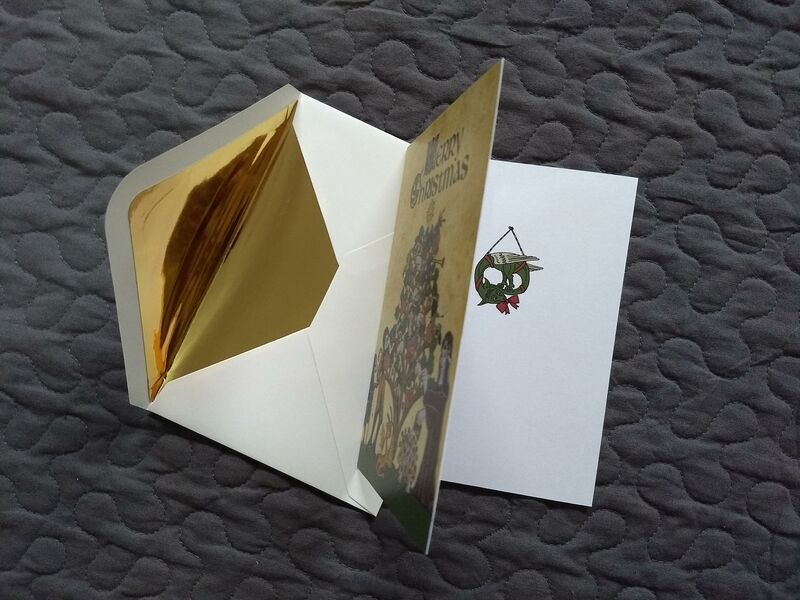 Each card comes with an ivory envelope with a gold foil interior. 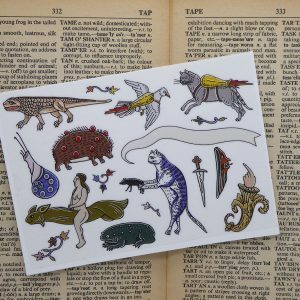 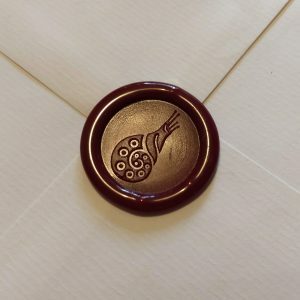 If you would like to add a touch of the medieval to your cards, why not add wax seals to your order? Such high quality, glossy cards with beautiful illustrations! 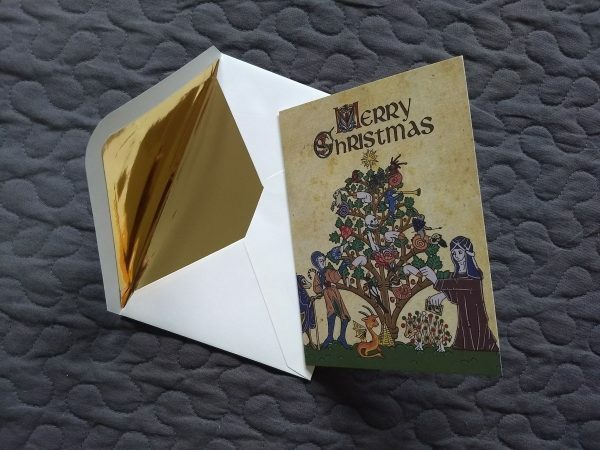 Exquisite.